28.5"w. x 20"d. x 19.5"h.
This item can be customized. For custom Engraving follow the steps below. We know you need to go wherever the action takes you. And often that means recreating in harsh, inhospitable environments. Floating rivers and lakes on sweltering days. Rolling your truck wheels over bumpy terrain. 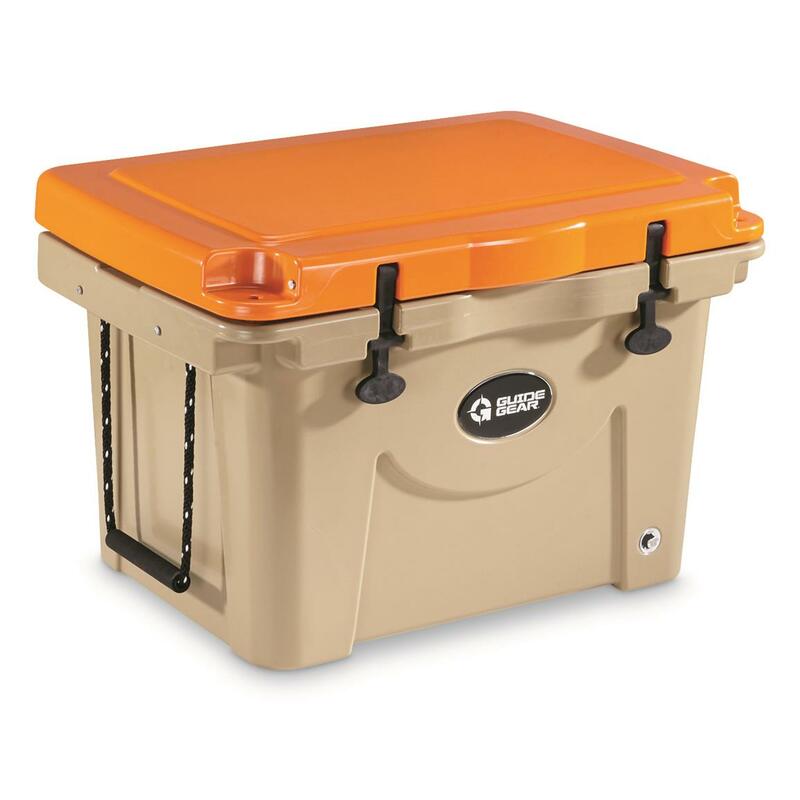 Whatever the conditions, this incredibly tough Guide Gear® Cooler is up for the challenge. 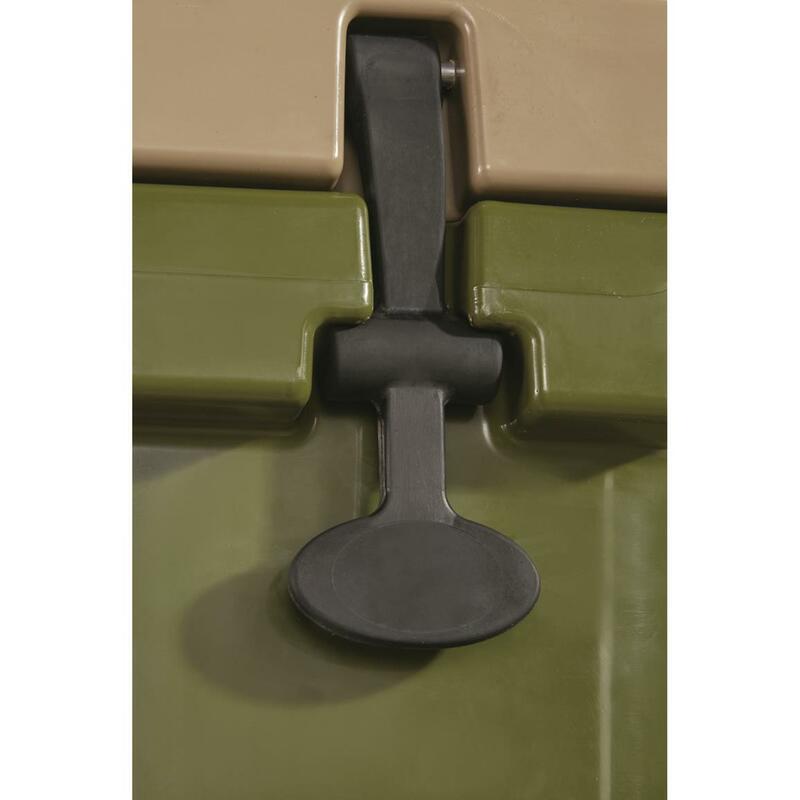 No more worrying about keeping items cooled on hot summer days. 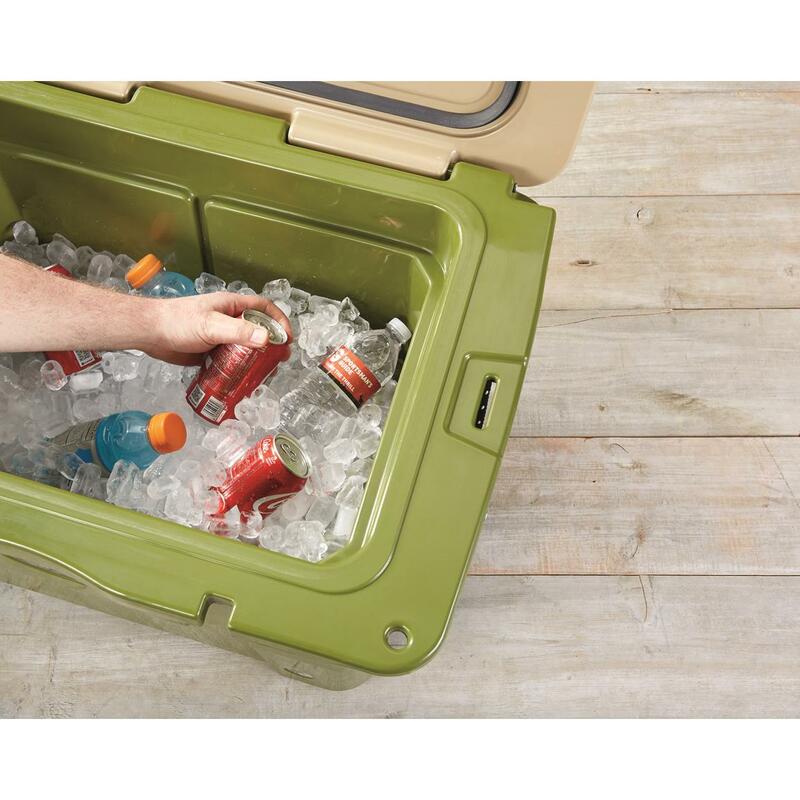 With our Guide Gear® Cooler, food and beverages stay colder longer. Prize game and fish return home in excellent condition. And forget about handling it with kid gloves. 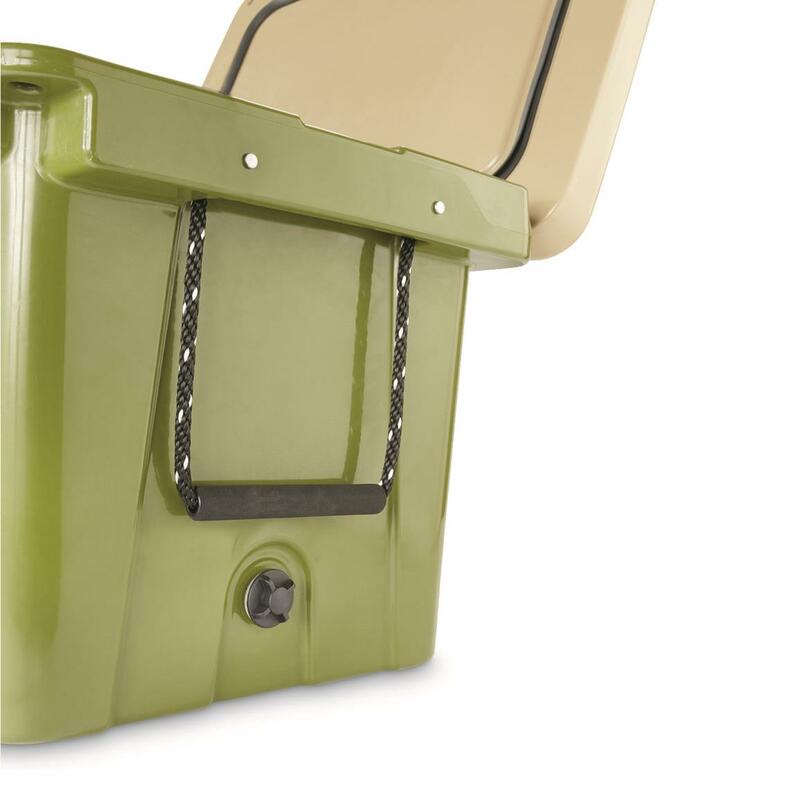 It's built to withstand abuse that would send any run-of-the-mill cooler to the trash pile. Plus…it's made right here the USA. Go ahead and preserve that icy-cold relationship with your catch of the day, big-game takedown, canned beverages—or whatever you put on ice. 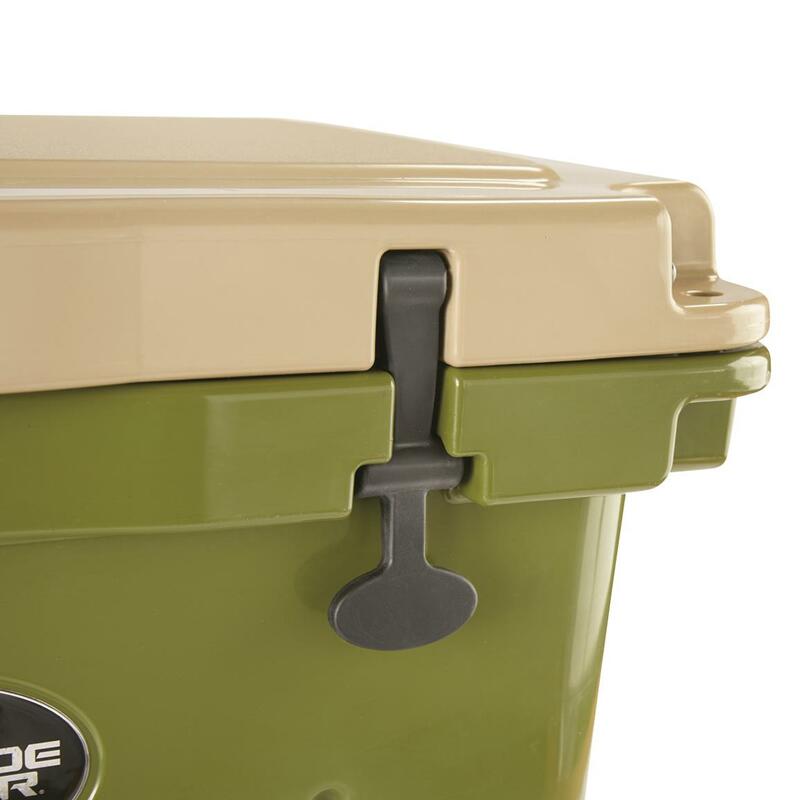 Our Guide Gear® Cooler has super-thick, premium insulation that will send shivers down other coolers’ spines. 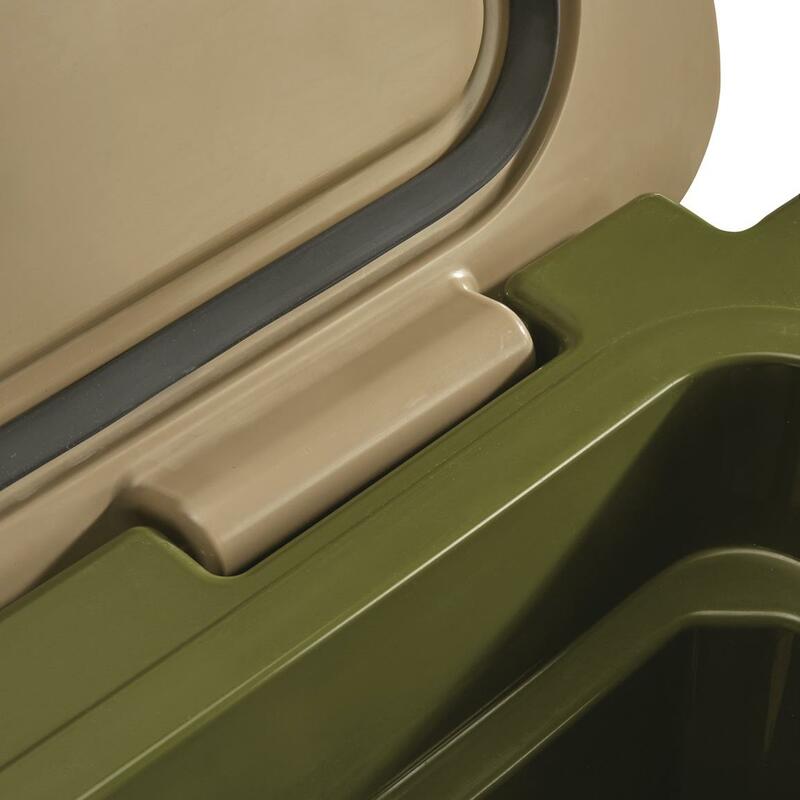 The extra-thick walls hold up to 2" of insulation for incredible ice retention that lasts up to 7 days. Its full-length gasket traps in every degree of icy coldness from adventure start to game over. 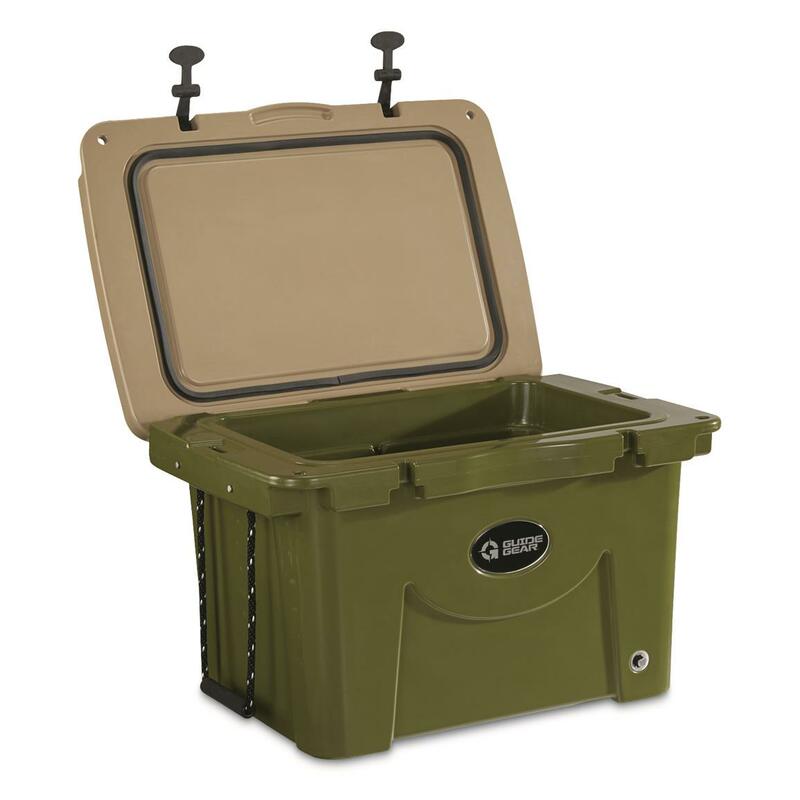 And, this ultra-tough Cooler is dry-ice compatible, allowing for safe use for off-the-grid refrigeration and freezing. Incredibly tough. Impact-resistant. Ready for the next adventure. 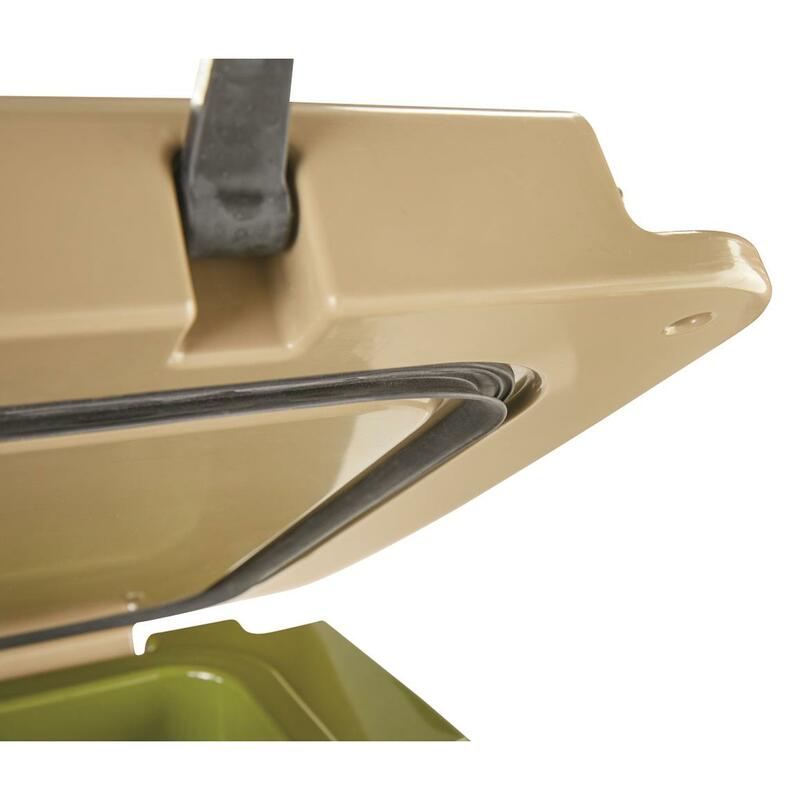 This cooling machine is made of tough, rotomolded plastic—the same type of heavy-duty plastic used in kayaks. It'll take pounding on the pavement like a star. Beat down on it—sun—with your torturous rays. 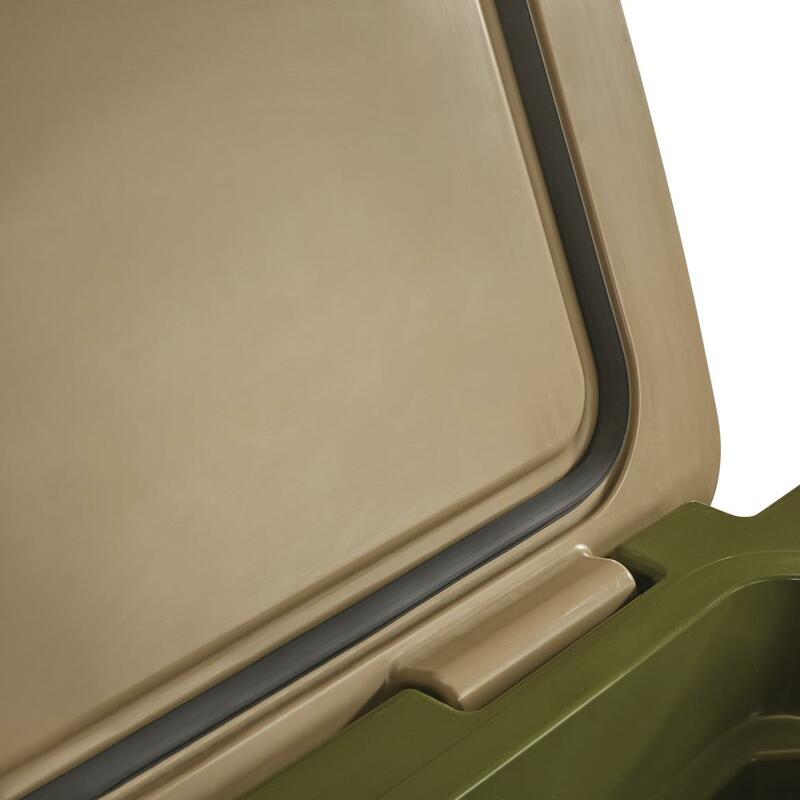 The built-in UV stabilizer will keep it protected. And you, avid outdoor enthusiast. Use it. Abuse it. Sit on it. Stand on it. Toss it in the back of the truck. It may show a scrape or two, but it'll never break down. 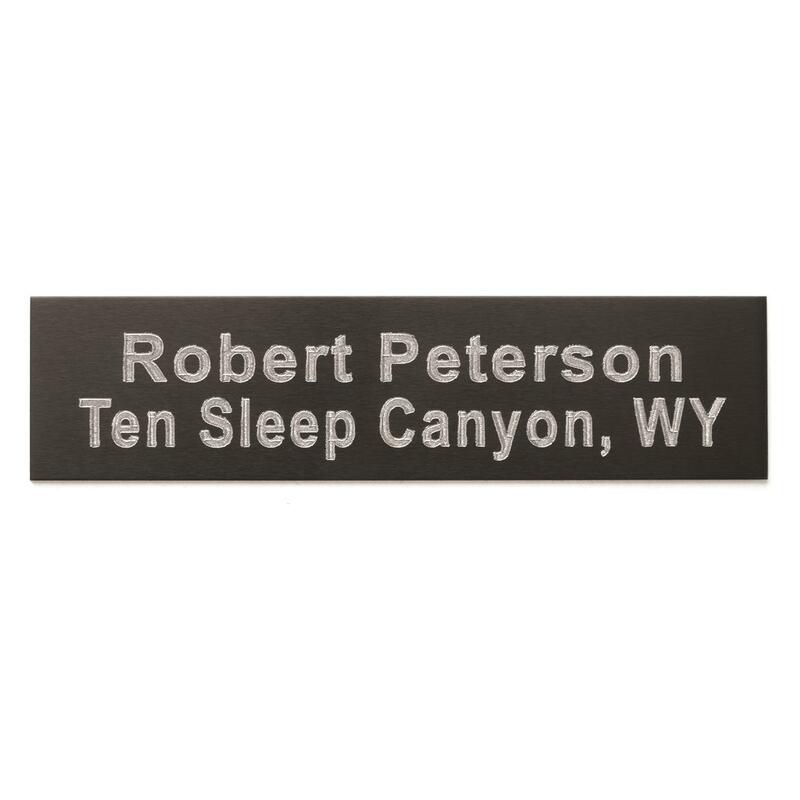 And every scrape will remind you of a life well-lived in the Great Outdoors. Carry it. 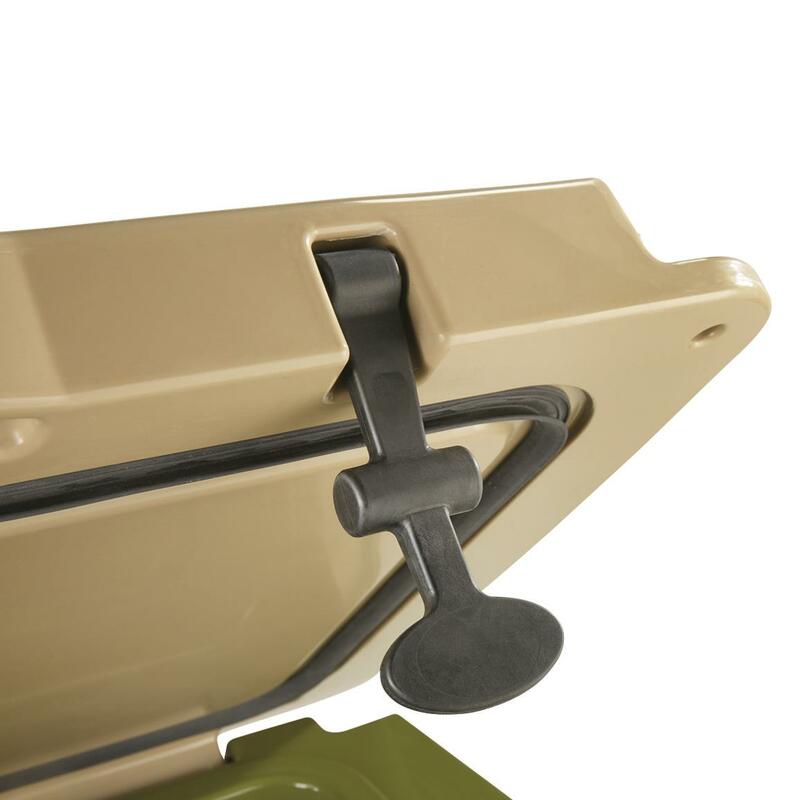 Latch it. Seal it. Drain it. 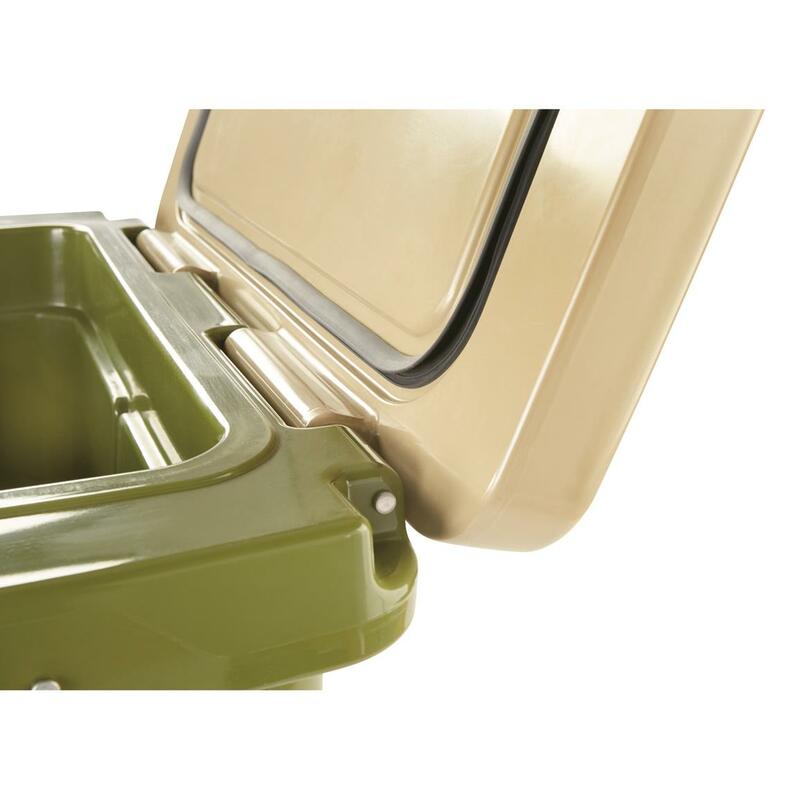 The Guide Gear Cooler is loaded with extras that will make your life easier at camp or on the boat. 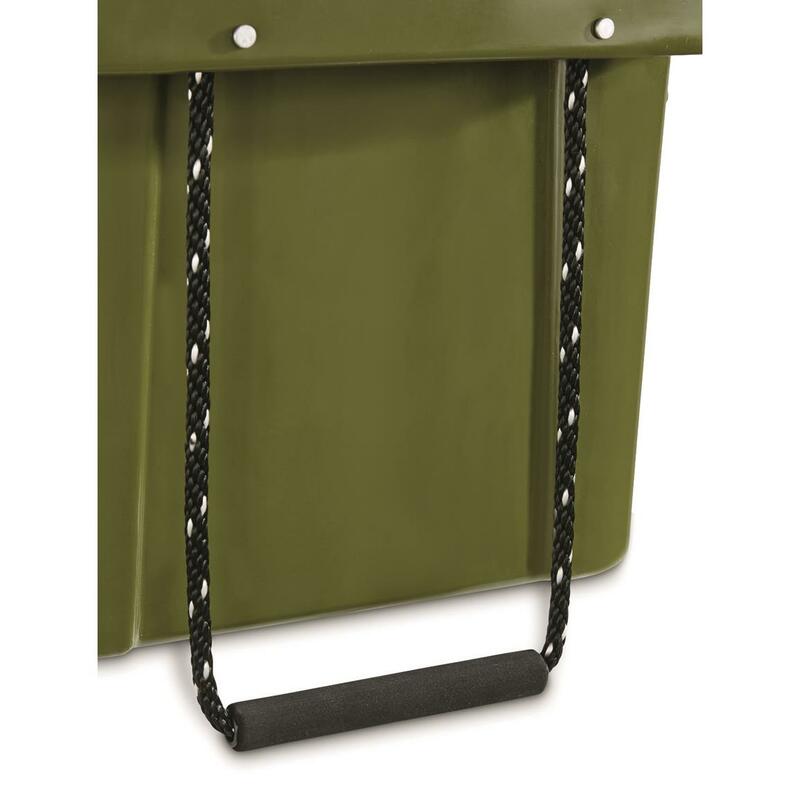 Heavy-duty rope handles with integrated retainers provide no-slip carry. 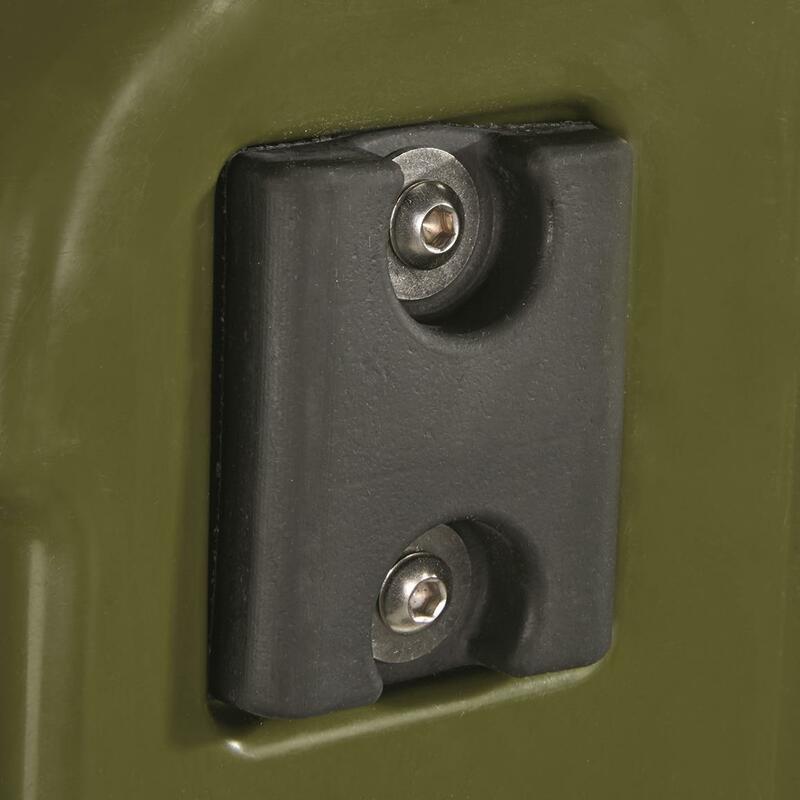 Ultra-durable rubber latches ensure a tight closure, and won't break or snap off like plastic latches. 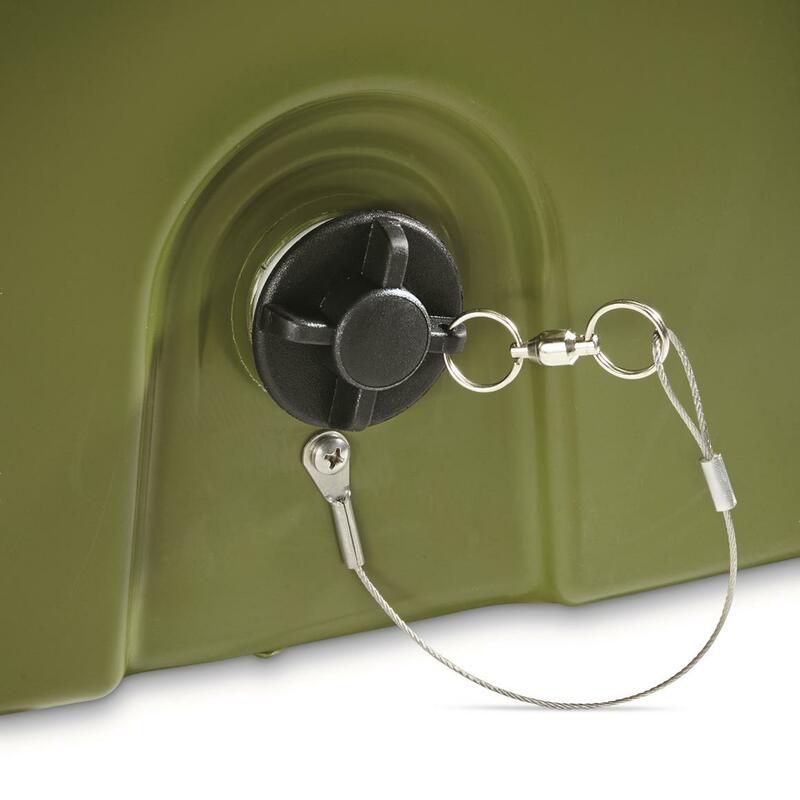 A no-leak, high-volume drain plug makes for fast, efficient draining without having to turn it over. 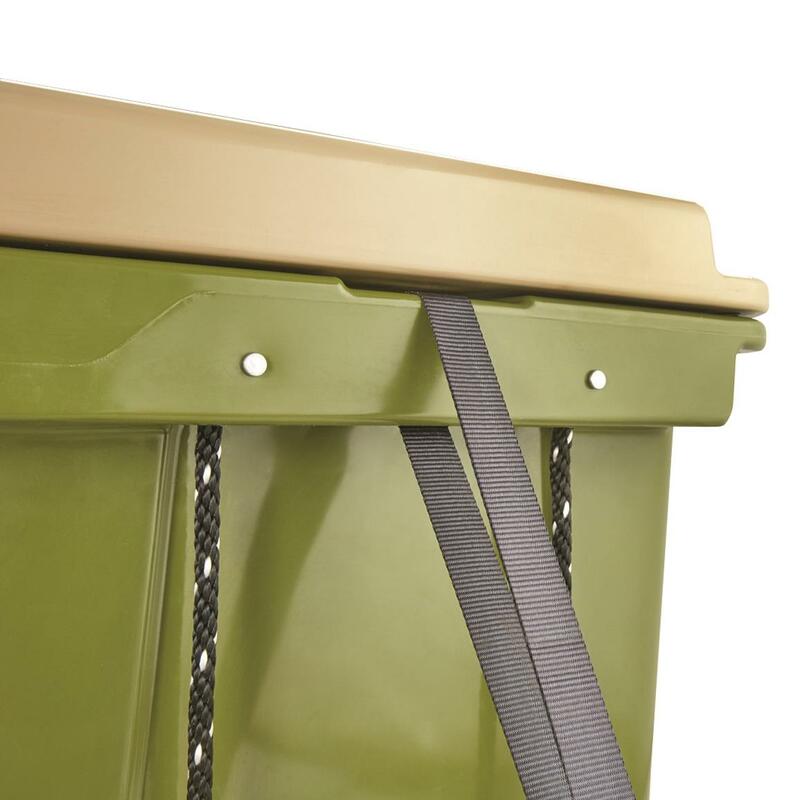 Plus, smartly designed elevated feet reduce heat transfer from sitting on hot pavement for even greater cooling efficiency. Tough. Dependable. Affordable. 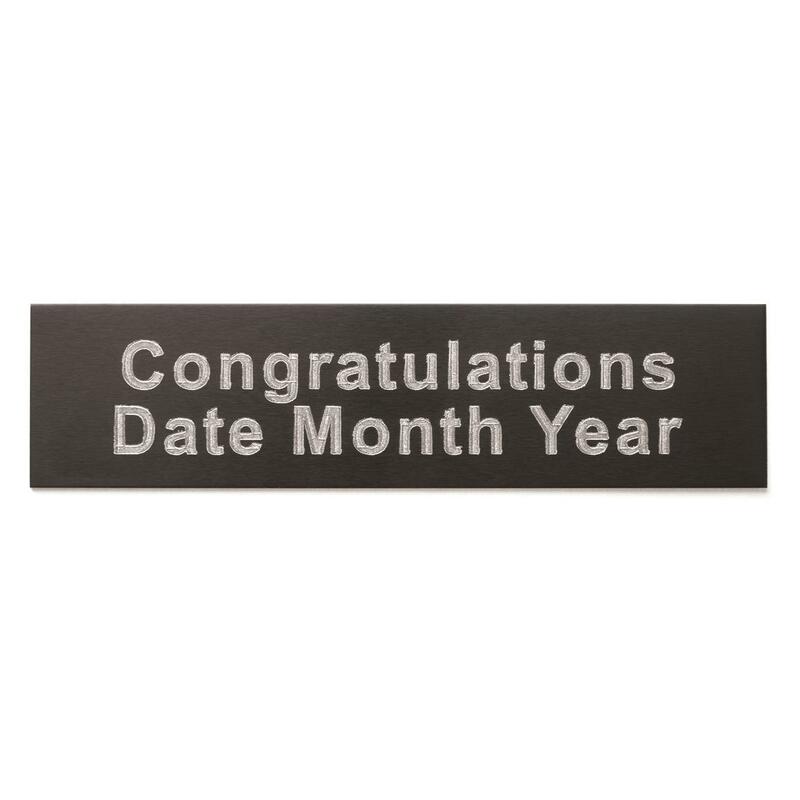 And, we stand behind it with a 5-year warranty. Certified bear resistant. Stamped with approval from Mr. Grizzly himself. 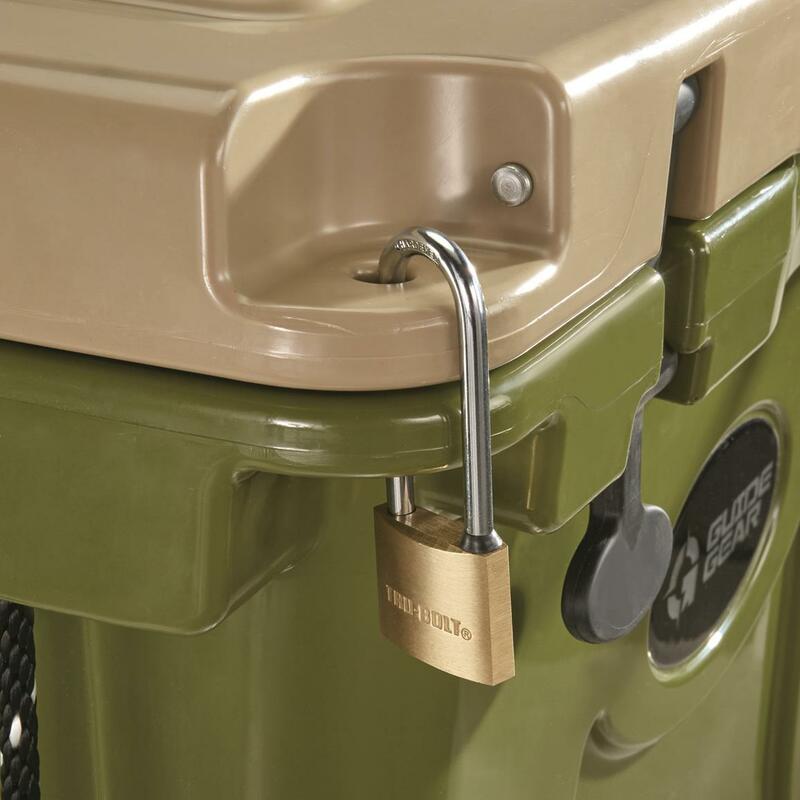 Simply add a padlock to this Cooler and it's ready for use in bear country. What makes it bear-resistant? It passed testing from the most rigorous product tester we could find—a 500-lb. grizzly. We sent it to the Grizzly and Wolf Discovery Center in Montana where it withstood some major abuse. It got gnawed at. Swatted around. Pounced on. You name it. 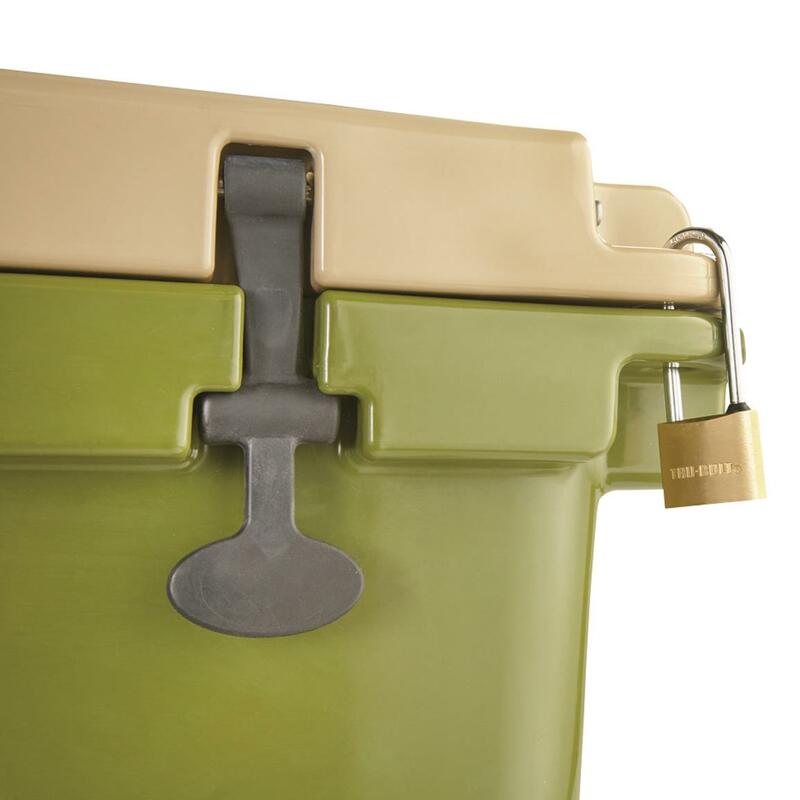 Since the bear couldn’t access the food inside after 60 minutes, it's considered a bear-resistant container. 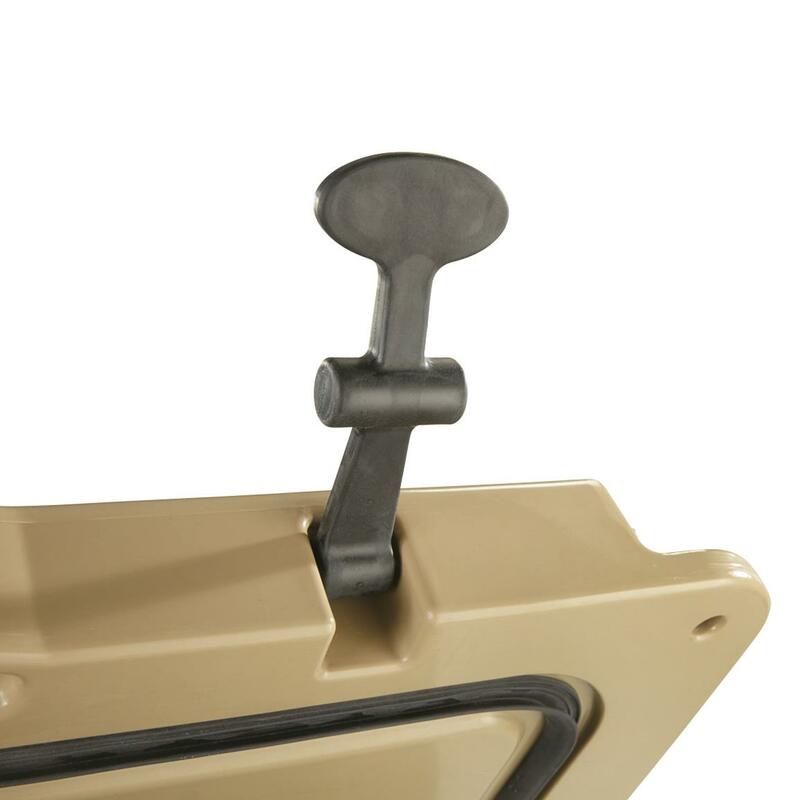 That means you can use it on public lands occupied by grizzly and black bear. 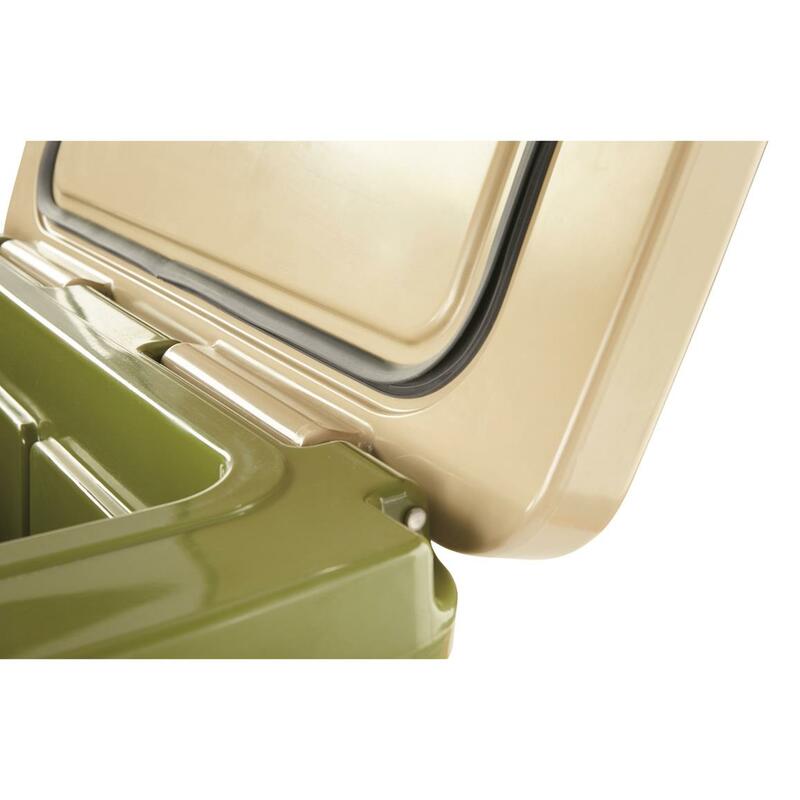 That just opened up more places for you to explore with your new Cooler in tow. 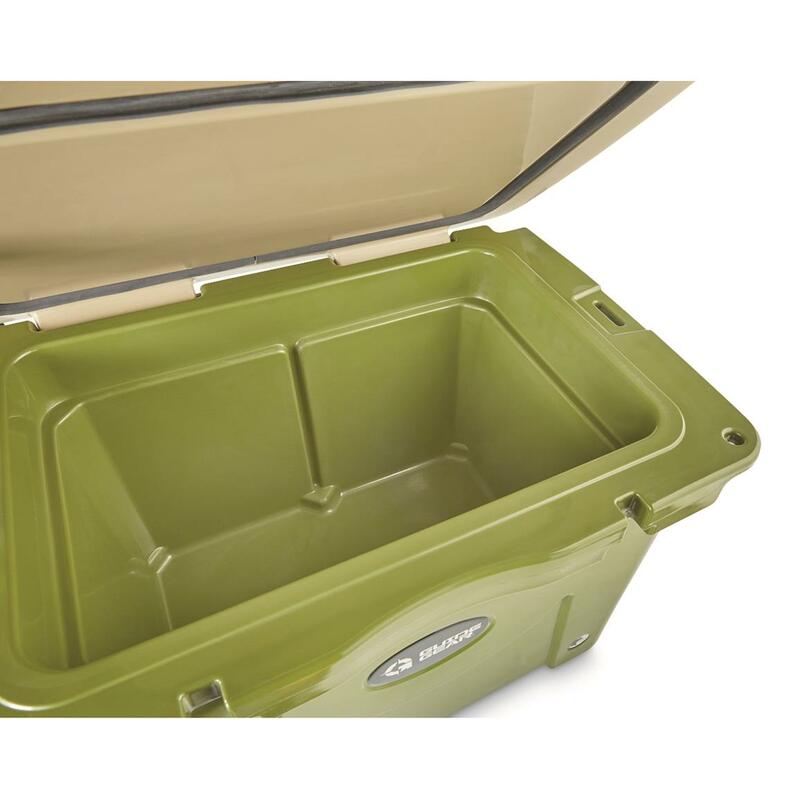 Now that's a Cooler worthy of a spot in the sportsman's truck! 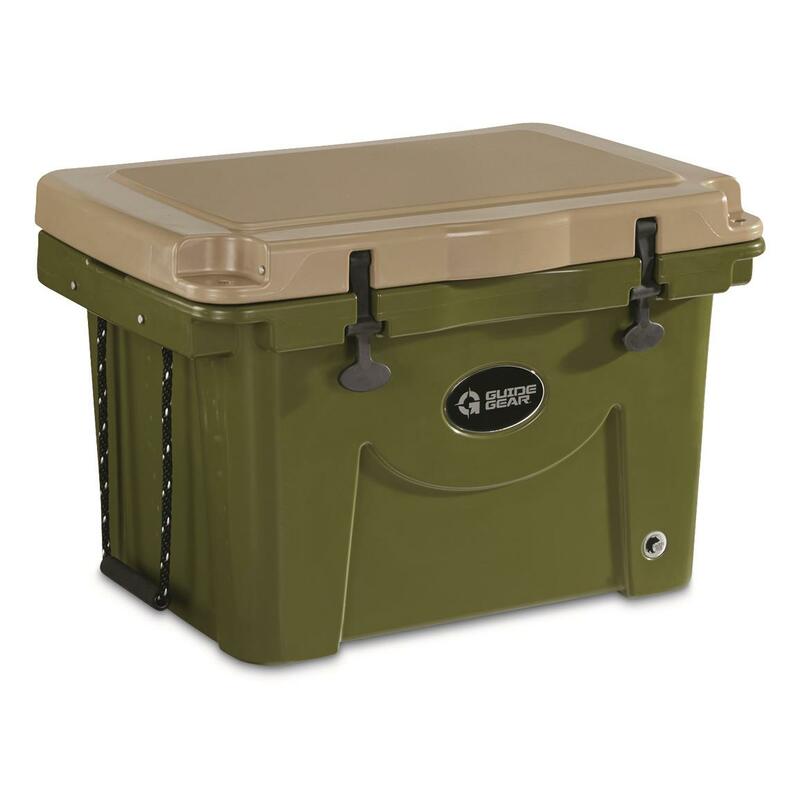 Exterior Dimensions: 28.5"w. x 20"d. x 19.5"h.
Guide Gear 60 Quart Cooler is rated 5.0 out of 5 by 5. Rated 5 out of 5 by Apollo308 from These are awesome! Better than my Yeti I love my Yeti, but this is better. Made in the US, cheaper, and keeps stuff cold longer. 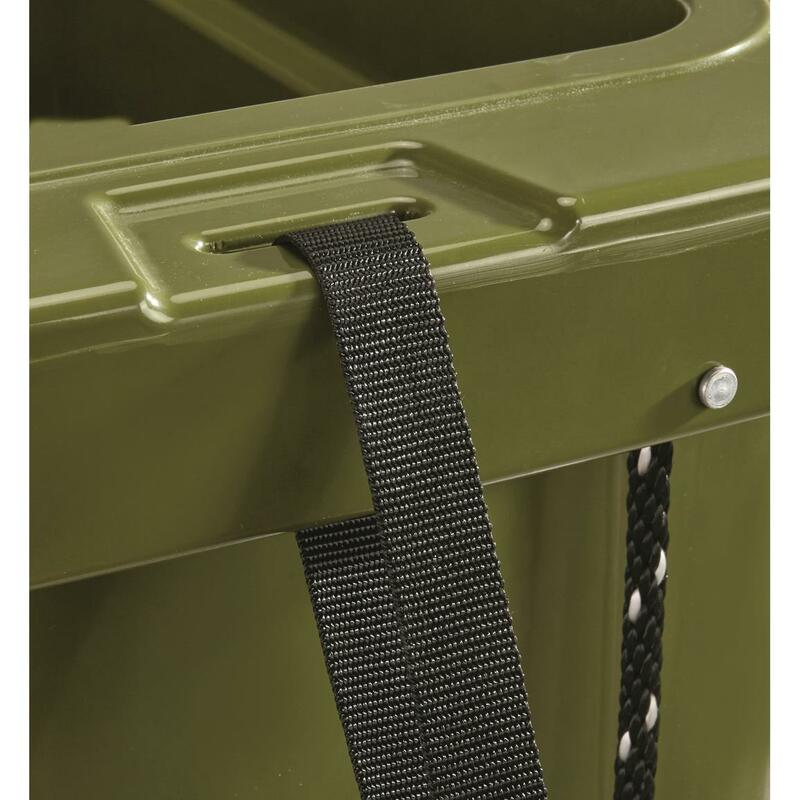 Both handle two-day trips hauling game meat home, but the Yeti thawed noticeably more; the Guide Gear cooler hardly thawed if at all. Rated 5 out of 5 by Deb57 from Mrs. Hazzard We bought this cooler a few weeks ago before our camping trip, I have to say that it kept ice for 7 days. I even borrowed some ice out of this cooler for another one. It's a keeper. Rated 5 out of 5 by Durnik from Excellent!! On par with the snowman brand. I have had this cooler for about two weeks and I admit I haven't tested every aspect of this product. However, the couple of times I used it the results have been extremely promising. I stopped at Costco to stock up on meats, we live in the country two plus hours away. I packed freezer packs in with the meat to keep it chilled. When I unpacked, the meats were beginning to freeze! This demonstrates the great containment this cooler has for keeping things cold.I then put sodas in the cooler with the standard ice cubes you can get at a convenience store. Two days later the sodas were still coming out slushy from almost freezing over!I plan on giving this cooler a full test on a week-long camping trip in the near future. I have no reason to doubt that the cooler will keep things cold the whole time, just as advertised. 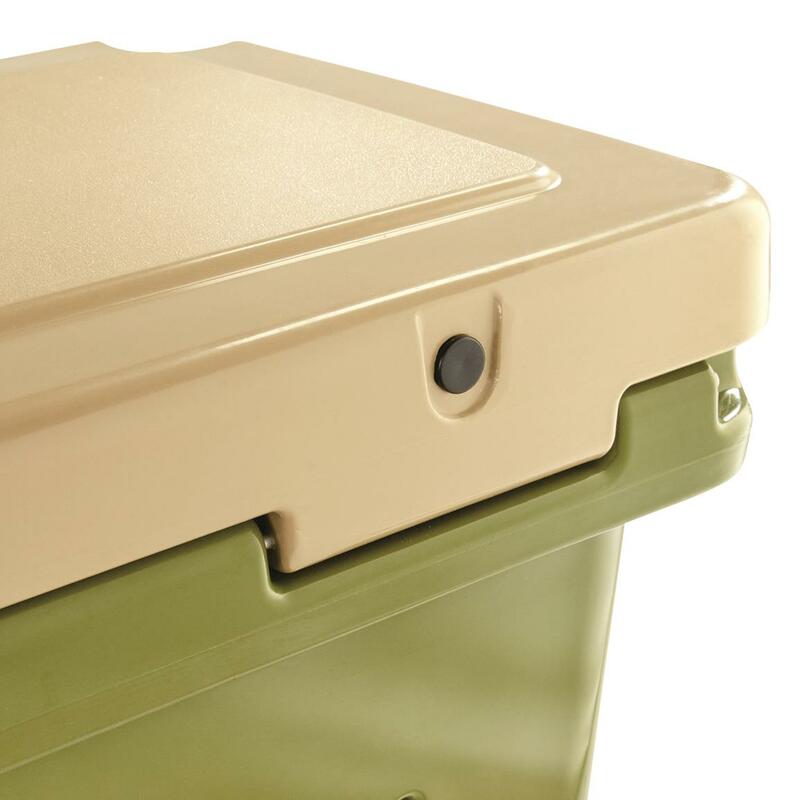 This cooler is not cheap but is only about two thirds or less than the product it is built to contend with.